A former Army brat, Christine Hughes moved quite often. She spent much of her time losing herself in books and creating stories about many of the people she'd met. Falling in love with literature was easy for her and she majored in English while attending college in New Jersey. Not sure where her love of reading and writing fit, she became a middle school English teacher. After nine years of teaching others to appreciate literature, she decided to take the plunge and write her first novel. Now at home focusing on making writing her new career, she spends her time creating characters and plot points instead of grading papers. Music has become an integral part of her writing process and without the proper play list, Hughes finds the words don't flow. At least a few times a week she can be found at the local Barnes & Noble with her Mac and headphones working on her next novel. 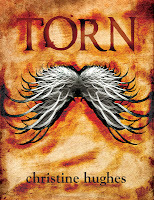 Her YA novel Torn was released by Black Opal Books June 9, 2012. I called my husband and jumped and screamed for a bit. He went out and bought a bottle of champagne and we celebrated. The beginning is always easiest for me. I get an idea and start to move on it when I feel cohesion. The only things I generally write down before I begin a novel are the names of my characters. As they come to life, I write character descriptions. That’s usually pretty easy for me. The end of the book is hardest for me. I never want to end too abruptly. I hate it when I read books and then, at the end, I’m left hanging. Cliffhangers are fine because I know another book is out there or coming. But I really try to clean up whatever loose ends I can and make the ending satisfying. That’s hard – often at the end of a book even I am ready to move on and I need to remind myself to close it out rather than just end it. "With the sudden, mysterious death of her father, Samantha discovers her life isn’t what it seems. Not only isn’t she the normal teenage girl she thought she was, Sam must now take her father’s place in the fight between two groups of fallen angels—the Faithful and the Exiled—in a race to save humanity. In addition to dealing with the devastating betrayal of her friend and her feelings for someone she is forbidden to love, Sam must also fight the growing darkness within her as she struggles to make a choice between fighting alongside the Faithful or succumbing to the temptation of the Exiled. Both sides require sacrifices Sam isn’t sure she can make." That’s a toss up. In TORN, I think my favorite character to write was Sebastian. The bad guy always seems more interesting to me. In Three Days of Rain, my favorite character was my main character, Jake. He was just so lost and at times I felt bad for the pain and suffering I was heaping on him. In the sequel to TORN, titled DARKNESS BETRAYED, I am finding Damien to be the most fun to play with. Something about the damaged character interests me most. 5. If one of your books became a movie, which celebrity would you like to star as one of your heroines? Tell us about your heroine. Samantha would be played by Candice Accola (Caroline of Vampire Diaries). She’s just fabulous and I had her in mind when I wrote Samantha. She’s so “girl next door with a twist” for me. 6. If one of your books became a movie, which celebrity would you like to star as one of your heroes? Tell us about your hero. Jesse Williams from Grey’s Anatomy would be perfect for Sebastian. He has the perfect facial expressions, the perfect eyes…. He is, hands down, my Sebastian. 7. Do all your heroes and all heroines look the same in your mind as you “head write”? No. I try to sort them out before I begin writing. I find their personalities and figure out what they look like from there. 8. Do you eat comfort food when writing? If so, what food inspires your imagination? I don’t usually eat and write, I am terrified of crumbing up my computer. I’ll drink coffee and Earl Grey tea, though. 9. What hobby do you enjoy when not writing? 10. 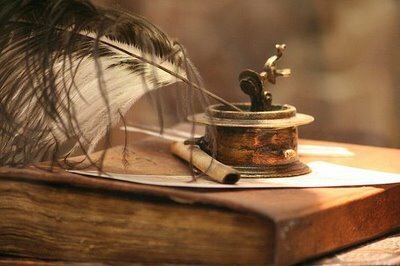 What’s your strongest point as a writer? I’ve been told the voice in my YA is spot on. I hope it’s true because voice, particularly in YA and Middle Grade is key to writing a convincing story. You can’t have teenagers discussing retirement options or discussing finances. I just wouldn’t be realistic. Fahrenheit 451 by Ray Bradbury is my all-time favorite novel. I know it’s classified as Science Fiction but I see it more as, I don’t know, prophetic. Not that prophetic is a genre but the ideas the Bradbury wrote down – how many can we say haven’t come to fruition? He was a true dreamer and many of his ideas are all around us now from blue-tooth to wall-sized televisions to reality TV. Start burning libraries and we may call him the new Nostradamus. 12. What genre would you like to try writing in but haven’t yet done so? Why? I would love to try horror mostly because horror scares the crap out of me. I almost want to immerse myself in it and write something spectacular but I don’t’ think it will ever happen. I’m too much of a chicken sh!t. 13. Facebook, Blogs, Chats, Twitter, Pinterest, LinkedIn. Which do you like best and why? I seem to have tons of success with Facebook and Twitter. I’ve started to tap into Google + and have also started paying more attention to my blog. I haven’t tried Pinterest and Linked In seems too complicated to me. There is a new one I’d like to try called Tout – I heard about it at the Random House Open House. 14. Tell us where to find you: website(s), publisher’s page(s), blog(s), Facebook page(s), etc. List them all! My next novel, Three Days of Rain, will be released January 5, 2013. It’s a stand-alone women’s fiction - the blurb is below. Things haven’t been easy for Jacob Morgan. Haunted by the ghosts of his past, Jake lives each day just going through the motions, barely getting by. Then Lily Burns comes to town and befriends him. As Jake starts to heal, he begins to hope that he has finally overcome the mistakes and tragedies that have tormented him for so long. But just when he thinks his problems are solved, his ex-wife returns, and once again, Jake is confronted by situations he is ill-equipped to handle. Can Jake hold on to the progress he has made, or will the lies, guilt, and secrets he’s tried to ignore shove him back into an abyss from which there is no escape? Thank you for the opportunity to hang out with you on your blog! Nice interview Christine. I feel the same way about endings. I feel a book should stand alone even if it has sequels. Who knows when a person might pick up a book without reading the first one. If they fall in love with the characters and then learn there are more, all the better. Thanks for signing up Rita. Thank you Rita. I'm having trouble with the ending of the sequel to TORN right now. I've been stuck for months so I keep combing through it, trying to figure out if I am going in the right direction. I know how I want it to end but I just can't figure how to get there seamlessly considering there is a third and final book planned. Great interview Christine! Loving Jesse Williams as Sebastian!